Evening clouds will give way to clearing overnight. Slight chance of a rain shower. Low 38F. Winds light and variable..
Evening clouds will give way to clearing overnight. Slight chance of a rain shower. Low 38F. Winds light and variable. 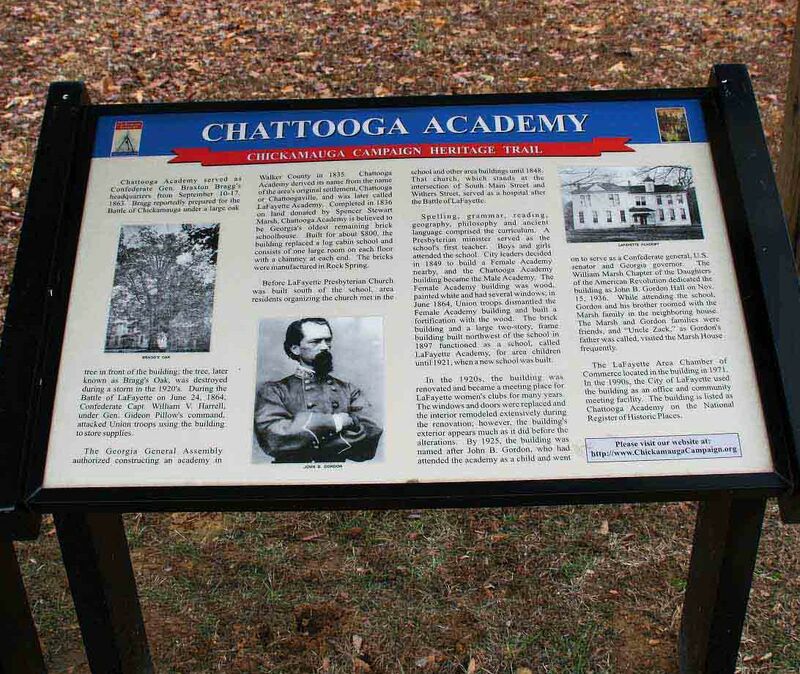 Chattooga Academy, located on North Main Street in LaFayette, is considered by many to be Georgia’s oldest remaining brick schoolhouse. The building was dedicated in 1936 to John B. Gordon, a former academy student who went on to serve as a Confederate general, Georgia governor, and U.S. senator. Completed in 1836 on land donated by Spencer Stewart Marsh, it derived its name from the name of the area’s original settlement and was later renamed to LaFayette Academy. 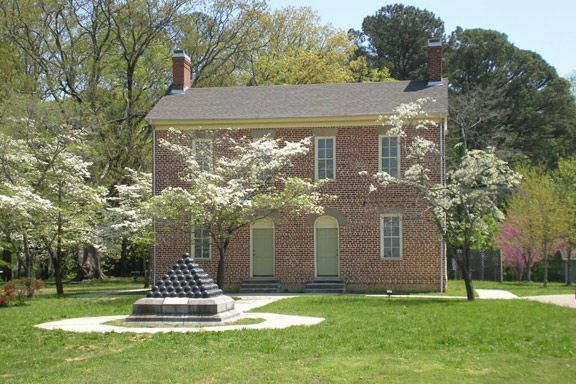 The building was Confederate Gen. Braxton Bragg’s headquarters from Sept. 10-17, 1863, as he prepared for the Battle of Chickamauga. During the Battle of LaFayette, Confederate Capt. William V. Harrell attacked Union troops using the building to store supplies. In the 1920s, the building was renovated and became a meeting place for the LaFayette Woman’s Club, which is still an active group today and is best known for its work with beginning the LaFayette Freedom Festival, its support and funding of the Cherokee Regional Library, and funding of local charities. Later on, the building housed the LaFayette Area Chamber of Commerce. Today the building and location are used to teach military leadership and tactics to officers. The academy is listed on the National Register of Historic Places.